Historically, the recruitment industry has been treated as the unsavoury black sheep of the professional services world. Recruiters have been labelled as unskilled money-grabbers, cold-callers with no scruples, rude and brash salespeople who never return calls…the list of mythical crimes is extensive. In fact, a quick online search of mass misconceptions about the recruitment industry will reveal that we’ve all been seen as (apparently) largely loathed admin workers with no morals to our name. If you’re curious about this, just type “recruiters are” into Google and let its suggestions paint you a vivid picture. As unfair, unfounded and downright unreasonable as these old stereotypes are, it’s important to observe that they have become just that: old. Perceptions of recruitment are changing, and the industry has never faced a more promising future. In fact, according to the 2015 UK Recruitment Trends Report from Bullhorn, 85% of UK recruitment agencies are confident that they will make a profit this year, and a further 93% expect to see an increase in revenue. More and more businesses are relying on recruiters to source their talent, and more and more professionals are opting to work in recruitment (with some 90,000 people at last count!) Albeit slowly, evidence suggests that the tide is turning, and recruitment is finally garnering the respect it deserves. So, how is it that a profession has gone from zero to hero? With competition and opportunity high, today’s buoyant job market has thrown the multifarious difficulties of recruitment into bright light. Jobs are increasingly abundant as the majority of UK businesses seek growth, meaning that talented candidates are now very much in the driver’s seat when it comes to cherry-picking the most attractive roles. Simply put, employers looking to hire have found out first-hand that successful recruitment is no mean feat. Recruiters can thank the flourishing seller’s market for subtly shifting industry perceptions. Research has highlighted that the majority of companies underestimate the cost of in-house recruitment by 90-95%, failing to take into account time lost, advertising costs and resources used. As well as that, over 70% of in-house solutions fail to source all, or even 90% of vacancies. Employers have now come to realise that they need recruiters: not only to win top talent in a tough market but also to save money in the hiring process. As difficult as the skills shortage has made recruitment, it has also played a significant part in advancing how the industry is perceived. In what has been labelled ‘the worst skills shortage for 30 years’, UK employers are seriously struggling to find the key talent they need. The latest British Chambers of Commerce workforce survey revealed that 92% of businesses have identified a skills shortage among their workforce in at least one key area, and a recent CBI report has called the growing skills gap the number one workforce threat. In this climate, finding the people with the required skillsets is extremely challenging. Where employers have frequently failed to fill roles, it is the expertise of recruiters which has found and delivered the necessary talent. Particularly for jobs in the IT and technical sectors, recruiters have been instrumental in sourcing the rare candidates that employers need to grow. In light of the challenging, skills-short job market, recruiters have had to become excellent marketers to stay ahead of the curve. Recruiters have traditionally been thought of as salespeople above all else, but the truth is that successful recruitment uniquely combines both sales and marketing in equal measures. The recruiters of today have to be proficient writers, social media moguls, brand ambassadors, clever communicators and digitally savvy direct and email marketers – as well as persuasive salespeople. As the business world becomes increasingly aware of the broad range of skills required within recruitment, perceptions are inevitably starting to change for the better. Recruiters have adapted with the times and truly stepped up to the mark in difficult times, and it is this which has helped to open eyes about the industry. True, some misplaced negativity still circles recruitment, but there are no industries which are not surrounded by stereotypes. 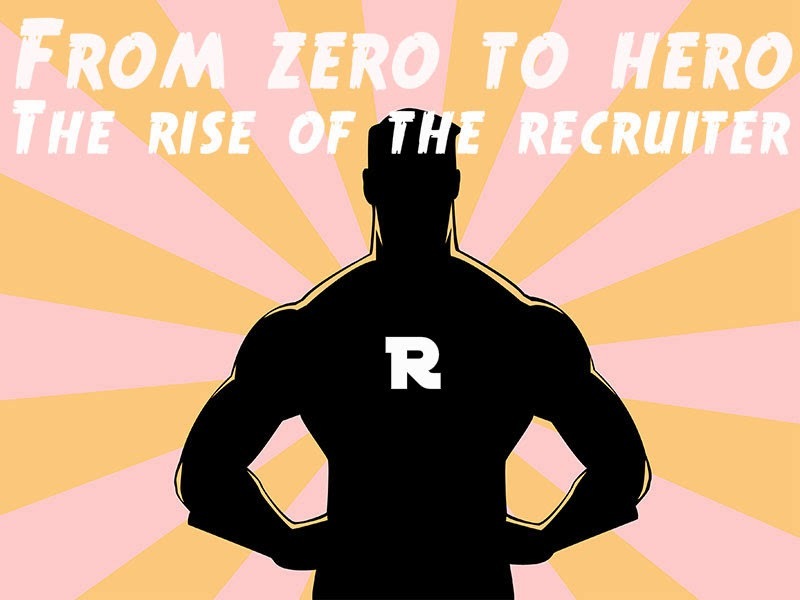 There is still more to be done to change perceptions, but in recent years recruitment has come a long way in rising from zero to hero.